As a USAPA Pickleball Ambassador and enthusiast, I am often asked to answer the question: What is pickleball? Luckily for me, most people asking the question have heard something about the sport and have a vague idea of how it is played. Mark Renneson of Third Shot Sports – Pickleball, who is a tournament player, coach and commentator, has created a relatively short and concise video that gives a quick explanation of the sport of pickleball. Keep in mind that this is just an introduction and viewers may have a number of questions. If you would like more information, leave a comment or question below and I will do my best to provide an answer. 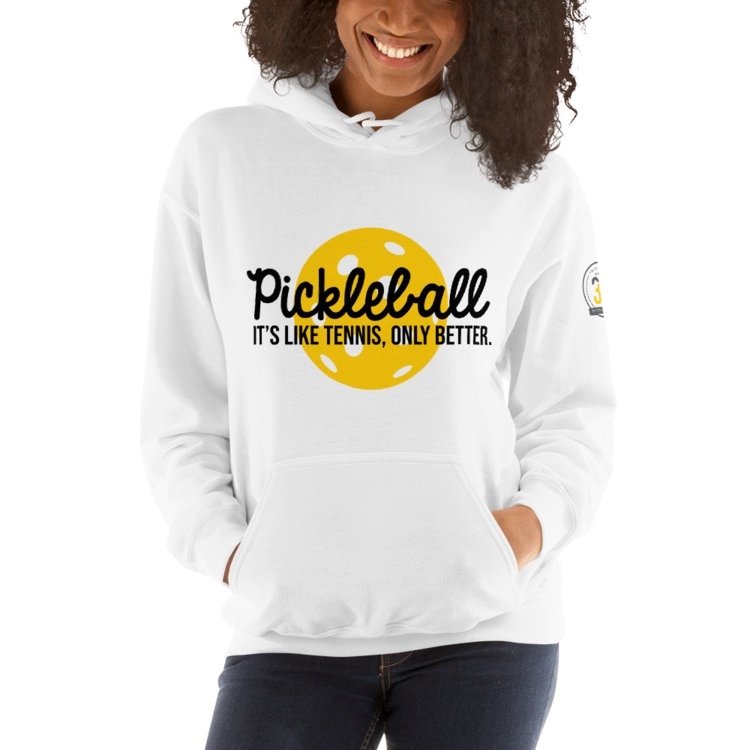 NOTE – If you like the shirt pictured above and would like to purchase one, visit Mark’s website: Pickleball-It’s Like Tennis, only Better!